Sometimes in our life, we are forced to perform unpleasant actions. Of course, it is not a pleasant feeling to send notices to people but out of share necessity, we have to send notices to people in order to solve certain issues. The most important notices are sent to those who own your house or shop. 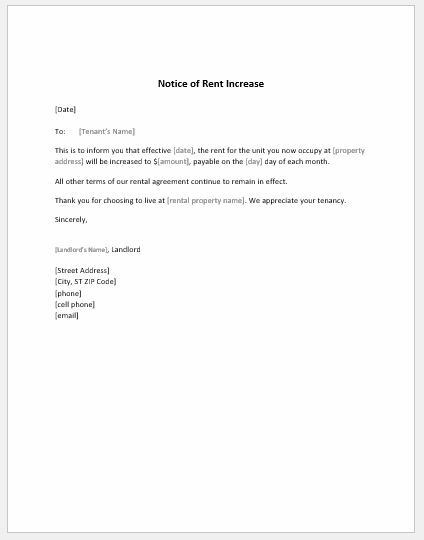 Unfortunately, people don’t pay rent after several verbal notices; therefore, you have to take the extreme step of sending them written notices for clearance of their stance in regard to non-payment of rent. Such notices generally leave the party with two options. One option is to pay the rent and stay at the house, and another one is to gently quit in case of non-payment. Such notices are often been messed up by filling them with unnecessary details having minute importance. People tend to leave the important details while concentrating too much on the minor ones. 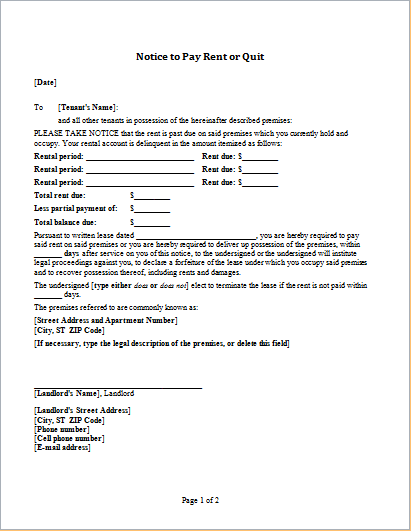 The notice to pay rent or quit must be written in the simple language with the clear-cut topic. The topic should narrate your purpose of issuing the notice. Further, you must tell the party about their negligence in regard to payment of rent in recent times. Also, ask them to clear their stance in regard to notice in 6-7 days, otherwise, you would be forced to take further steps which would cause embarrassment for them. After the purposeful narration of your point, conclude the notice with your name and signature. Surely, the notice will perfectly serve your purpose.